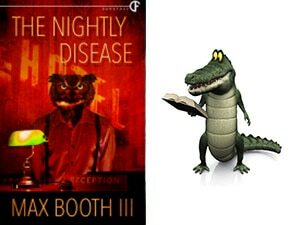 The Nightly Disease by Max Booth III is promoted as comedy/horror. Those anticipating a bloody dance with the usual denizens of typical dimensions of horror may be disappointed with the lack of zombies, vampires, or even a lone ghost. But how about a rabid, face-eating owl instead? The novel might more accurately be defined as twisted, Texas-geek-style magical realism. In all honesty, the novel defies categorization, which is, thankfully, no longer a bad thing in this postmodern age where the liminal regions that once strangled genre potentials maintain much less traction than in the past. The story marinates, or festers, in the Goddamn hotel, which is a wavering spectral image of all the interchangeable Goddamn hotels in the world. Readers who travel regularly will surely recognize the setting. They will also recognize the nameless faceless thankless, underpaid night clerk who hunkers behind the reservation desk. Every Goddamn hotel has one. In this case, Isaac is the overweight, undereducated, lonely looser night clerk who reins as the hapless protagonist. Although he is limited and immature, Isaac, who quotes Dante, is strangely literate and instinctively understands certain elements of metaphysics such as the ascendancy of the number “three.” He wants what most everyone wants, money, friends, and most of all, love in the form of a girl who only comes to the Goddamn Hotel to binge and purge. Unfortunately, in the Goddamn hotel, which surely is damned by god, it is unlikely that Isaac will reach any of his goals, without divine intervention, that is. Readers experience the plot via Isaac’s first person loosely present tense, rambling stream of consciousness dominated by profanity and sexually charged language. In between truncated attempted to read Animal Money, Isaac stumbles through life, the innocent victim of characters who take advantage of his innocence. 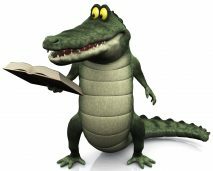 The author skillfully filters in back-story without nauseating info dumps. The plot line moves in a clean, linear fashion and speeds up along with the increasing appearance of killer owls and bloody corpses. The novel is a quick, comedic experience that offers a deceptively simple surface read. However, more experienced readers will sense something more going on at a sub-textual level. Perhaps they will see something of themselves in Isaac’s hapless quest for something more. How about a rabid, face-eating owl ?